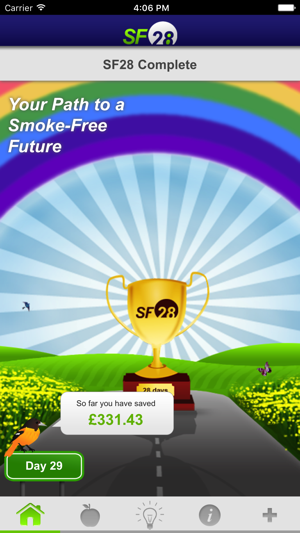 Quit smoking with SF28 - your Road to a Smoke Free future. Quitting smoking can be very tough. 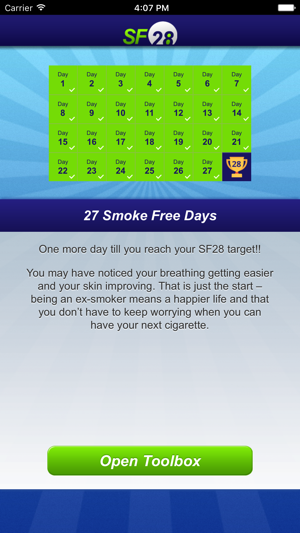 SF28 guides you through the first 28 days of your attempt to quit smoking as well as helping you prepare for your quit. It is based on the latest scientific research and provides a range of tools and advice to help you quit smoking for good. From your toolbox you will find lots of useful resources and tips to help you through your attempt to stop smoking. 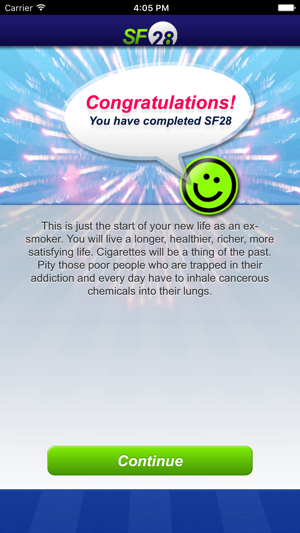 SF28 has been developed by experts to help you stop smoking. It sets up the challenge of being completely smoke free for 28 days. That is the period when craving and withdrawal symptoms are at their worst and if you can make it through without a single puff on a cigarette you are 20 times more likely to stay off cigarettes for good. 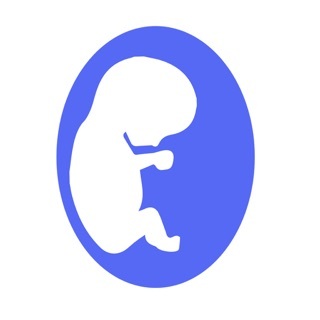 - Lifestyle tips targeted to your current week - Withdrawal Symptoms, Thinking like a Non-Smoker, Changing Routines, You Social Life and Eating & Drinking. 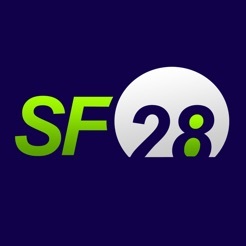 Robert West is the main designer behind SF28. He is a psychologist who has been researching how best to help people stop for 30 years during which time major advances have been made. For more information go to www.rjwest.co.uk. 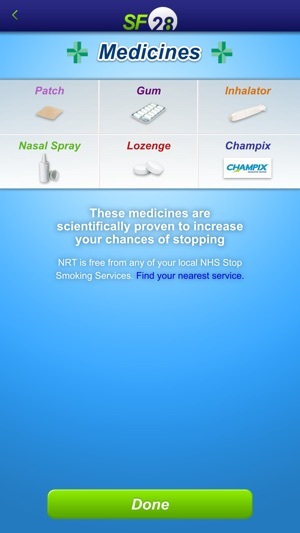 I have read Robert West's book Stop Smoking Now which is really good and eagerly downloaded the app. Looks good so far just wanted to let you know that none of the links to stop smoking services on the Medicines information or links in the Links page are working. © 2017 Robert West & Silverback I.S.